Sanctuary at Calamvale is a stunning new property development in Brisbane’s south west, located in the suburb of Calamvale. Sanctuary at Calamvale features high quality, three bedroom townhomes designed for modern living. With premium kitchen appliances, stone benchtops, private terrace and courtyard and options for a carport or garage, an amazing opportunity you can’t miss. Desketing had the pleasure of developing the marketing collateral and website which has just launched live. Check it out at www.sanctuaryatcalamvale.com.au . 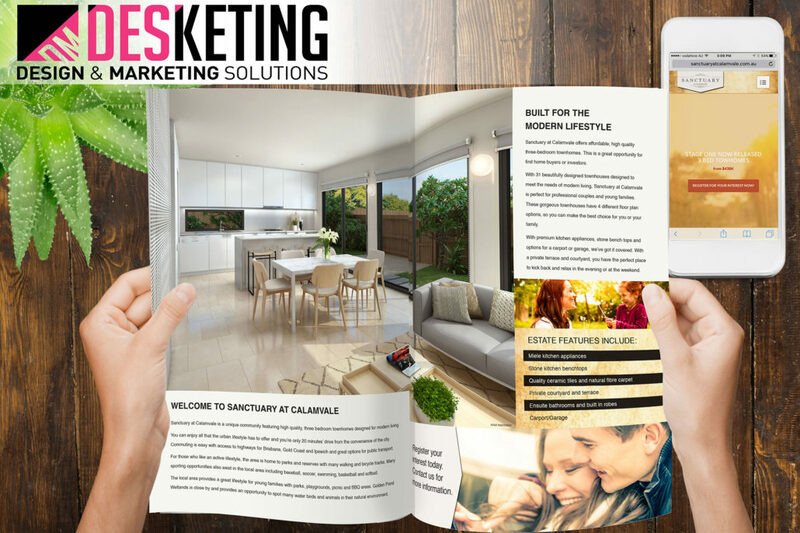 Brisbane’s property market is still booming, If you are looking for cutting edge marketing that is right on point call Desketing today on 07 3220 3962.